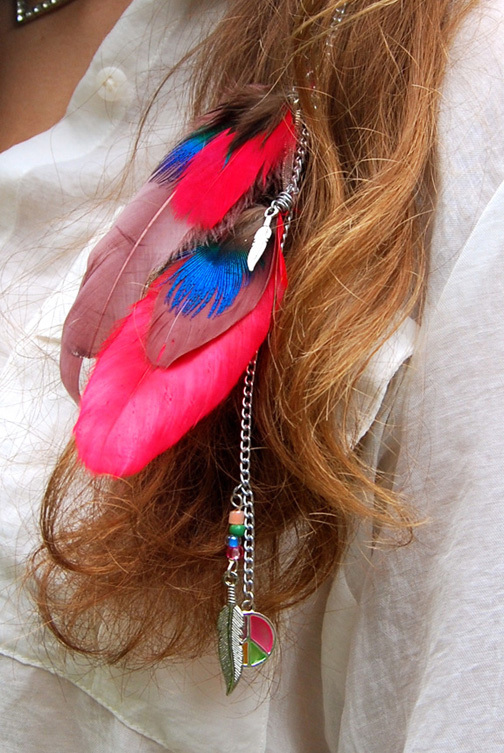 Oooh, I do love feathers (I have feather earrings and necklaces) but no feather clip yet. I'll definitely keep my eyes peeled for one though! It adds such a fun bohemian touch. Cute as always Rory! Good luck with the finals. And summer's been alright so far. It's been about a week that I've been out of school and I'm already getting bored. Haha, not a good sign! I need to make some plans. I love those shoes!! I had the permanent feather extensions last summer, and I was sent a clip in pair a few months ago, but never wore them much. ohhhhh you so pretty!!! and those shoes make our feet look small! cool look!Like the blog!u're adorable! Love this classic summer look! The feathers are awesome! Hope you are having a wonderful day! 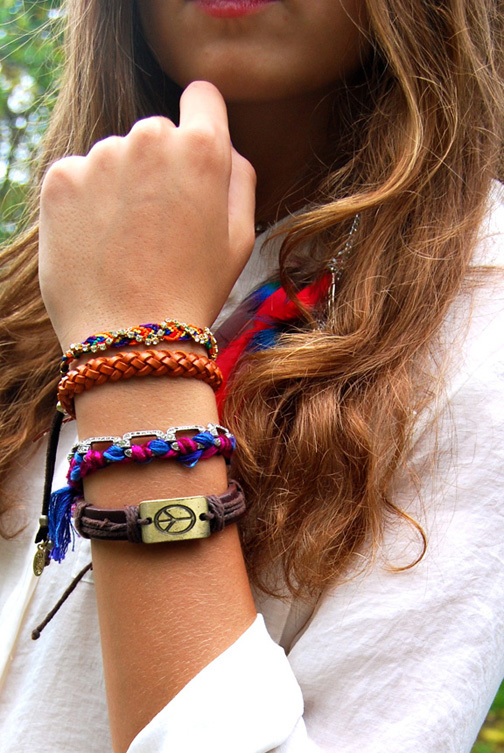 Those bracelets are adorable! No feathers yet, but I am dying to get some feather earrings! Yes to feathers! I have three and wear them all the time! I love that yours are such bright colors! Super cute look Rory! Loving your blouse and bracelets! Too cute! Beautiful! I love your overall look! Summer is approaching and I've been browsing and reading blogs for inspiration. It's so nice to see how a feather hair clip and other accessories can make a simple outfit fun and playful!